This entry was posted in Buddhism, Historiography, History, Manuscripts by Sam van Schaik. Bookmark the permalink. This is very interesting… I can’t help thinking, though, that in every period of Buddhist history I have studied, people complain about declining standards, fake prophets, and teachers who are not as enlightened as in the Good Old Days. Authenticity is always in the past, for Buddhism, and innovation is always denigrated. Considering how remarkably innovative it has been (again, in every period I have studied, and notably in the so-called Dark Age), this seems unfortunate. Silly, in fact! I like your ideas. That ‘false’ teacher you mention, Sangs-rgyas Skar-rgyal, would fit in very well. He emerges at a point in the life of the Great Translator Rinchen Zangpo that would’ve been before the Dunhuang cave should have been closed. And as far as I know the best explanation of his name is that he claimed to be a past Buddha (Sangs-rgyas), the one named Tishya or Pushpa (Tib. Skar-rgyal). Not to put too hard an edge on it, but Tishya and/or Pushpa was not one of the ‘seven generations of Buddhas’ but came way far before them. One source* says 94 eons (kalpas) ago. But that’s not to say that there hasn’t been a lot of confusion about these things in the past and still today. I’ll be quiet now and try to think some more. (If I can.) Thanks for this blog. *Beal’s Romantic Legends, p. 15, but see also pp. 13014. I meant pp. 13-14 in Beal’s book, of course (a typo). David – well, it’s not just Buddhism. Pretty much every pre-modern society places its sources of authority in the past. And you might find this attitude silly, but without it, Buddhism would have surely have changed beyond all recognition a long, long time ago. To my mind, the way Tibetan Buddhists have negotiated the balance between respect for the sources of the teaching on the one hand and innovation on the other is rather brilliant. Dan – thanks for that clarification. The fact that Skar-rgyal was identifying himself with a past Buddha mentioned in scripture makes me wonder if his name was a deliberate riposte to accusations like those in this poem. That is, that the new buddhas are “not authenticated” or more literally, “not prophesied” (lung ma bstan pa), that is, not mentioned in any scriptural prophecies. Although I suppose the discussion of past (rather than future) Buddhas does not really count as prophecy, does it? Great entry. Just a minor note on Skar rgyal. The Skt. ought to be Tiṣya or Puṣya, and not Puṣpa or Pushpa. ya and pa are of course very similar in many northern scripts, and they are frequently misread, cf. the fact that it’s still unclear whether Harṣa’s ancestor was Puṣpabhūti or Puṣyabhūti. Yes, I agree; to establish my bona fides, I can point at a piece I wrote about about the necessary balance of tradition and innovation, expressing alarm that Buddhism may become extinct in this century as a result of its collision with the atomizing consumer culture. On the other hand, most Buddhists elsewhere would probably say that Tibetans have changed Buddhism beyond all recognition. And (unlike most Tibetans) I think that’s correct. And as a practicing Tibetan Buddhist, I’m glad they did! So overall I would agree with “brilliant”… But since the Tibetans could never agree on which innovations were legitimate, my guess is that they would not have assented to “brilliant balance” themselves. Throughout history, it seems most have condemned all innovation as “degenerate”, “inauthentic”, and so forth. As some doubtless was. I fear I am wandering off your topic.. I have great interest in your research on the Dark Age; I believe it has significant practical implications for 21st Century Nyingma practitioners. Thank you so much for making pieces available to us ahead of scholarly publication. David – interesting articles. Donald Lopez, in his introduction to Andrew Quintman’s new translation of the life of Milarepa, points out that much of what makes Tibetan Buddhism different from other Buddhist traditions is that only Tibet received the full development of Indian Buddhism, right up to the 13th century or so. Of course there were further developments specific to Tibet. Anyway, as you say, this is getting off topic, and debates about authenticity have a way of going on and on. I’m still thinking. Well, trying to. I don’t want to say you’re all wrong. We could go on and talk about Tibetans finding fault with rang-bzo. Today, as is well known, it is in the Buddhist countries like Korea and Japan that the latest electronic technologies are grabbed up before anyone else can try and use them. I just want to bring up some contrary evidence so Tibetans don’t get tarred with a single brush stroke once more. And these days I’m wondering whether to adopt some new technology called the ‘scanner’ or not. To tell you the truth, I’m reluctant. On the early adoption of new technologies by Buddhists throughout history see this article by Andrew Glass. Aren’t conservative voices often most strident when the forces of innovation (for better or worse) are at their strongest? In that sense I think David’s point that the Tibetan dark age has some bearing on Buddhism in the West today is true. The early history of Buddhism in Tibet seems relevant to contemporary circumstances in many ways. One I haven’t seen pointed out elewhere is that apparently Vajrayana flourished during the “Dark Age” in the absence of monastic institutions. As far as I know, this is the only historical precedent for the modern development of serious non-monastic Buddhism. I have suggested (“Dark Age or Golden Age?“), with reference to your work and Jacob Dalton’s, that we may be able to learn something from this. Monasticism seems unlikely to succeed in the West; maybe non-monastic Vajrayana can. The gos dkar lcang lo’i sde was supposedly dominant in the Dark Age, and provides one possible alternate model for committed modern practitioners. Ngakpa ordination is in fact becoming increasingly widespread. Thanks for the pointers on technology. At least a few ethnically-Tibetan Lamas are now using Twitter, Facebook, Skype, etc. Andrew Glass’s article looks really interesting — I haven’t had time to read fully yet. I hope I won’t come off as snipey or snide, but I guess I’ll risk it. Buddha founded his order as an order of monks, and then, with some misgivings (the story is well known) of nuns. The decline in Buddhism is always correlated with decline in the quality of the monastics and the quality of lay support for them. Likewise the Dharma is said to flourish with the establishment of the monastic order, as in Tibet for instance with the phyi-dar, or ‘later flourishing,’ that started at the moment when the first monks came back to Central Tibet at the end of the 10th century. I think you are just helping make their case for them, that the Dharma is indeed in decline. And Sam, as for the [g]zhu, I believe it might be a name for Confucianism. Kaḥ-thog Rig-‘dzin, in his defense of the Hwa shang, a work I’m sure you’re familiar with, says there are three main traditions in China: Hwa-shang (the only one of them to be Buddhist), Zin-shing (Taoist), and Gzhu-ston (Confucianist??). Perhaps there is a Sinologist around who could explain this? If this interpretation is correct, it sure would fit in the series with the other items, now, wouldn’t it? Yes, indeed, that is quite the question. But the facts do not seem as clear-cut to me as they do to you. Jacob Dalton wrote that “the Tibetans who emerged from the dark period were far more Buddhist than the Tibetans who entered it.” (“Early Development of the Padmasambhava Legend”, Journal of the American Oriental Society 124:4, 2004.) The impression I get from reading his paper is that the Dark Age was in fact something of a Golden Age for Vajrayana — freed from the sutric imperatives of state monasticism. I am not a trained historian, however, and I may be overinterpreting his work. Nyingma historical mythology locates the glory days of Vajrayana in the snga dar of the Imperial Period — but that seems likely to have been largely constructed, in the form of gter ma, as a defensive maneuver in the early phyi dar. What we agree on, it seems, is that the actual historical facts about what happened during the Dark Age (did Buddhism actually flourish in the absence of monasticism? Was the reintroduction of monasticism actually bad for Vajrayana?) are highly relevant to the fate of Buddhism in the contemporary West. And, the Dunhuang manuscripts seem to be almost the only resource available for answering these factual questions. Which is why I am so glad that people like Sam are doing the work they are. I’m not at all sure that monasticism was absent in the dark age. 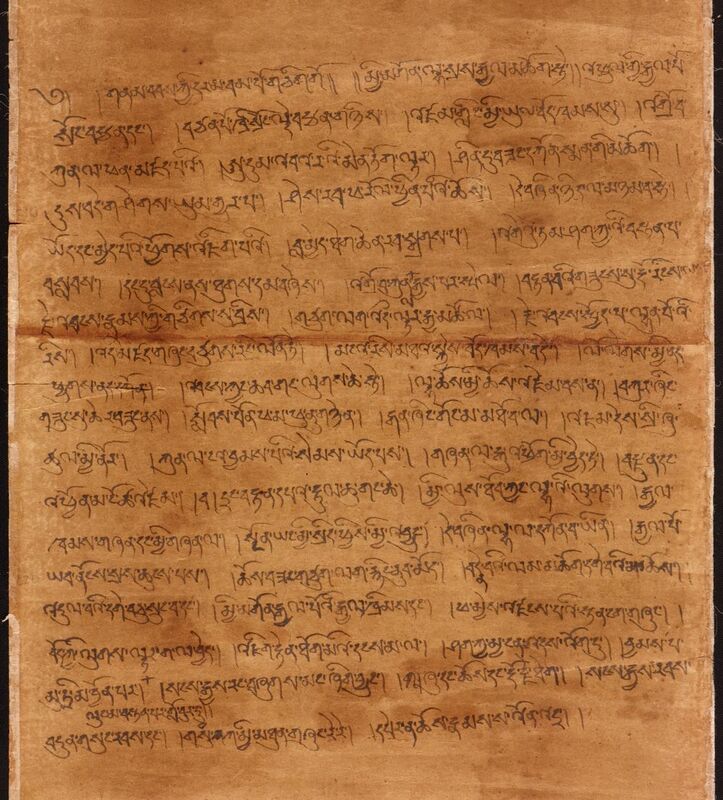 Along with the 10th century tantric manuscripts from Dunhuang, we have a lot of (probably) 10th century Vinaya manuscripts, like IOL Tib J 1, for instance. So it is quite possible that some, if not all, of those who wrote and used the tantric manuscripts were monks. Sure, state-run monasticism must have collapsed with the fall of the Yarlung dynasty, with a decrease in the number of monks and monasteries, but what seems to have happened after that is that the monks found other sources of patronage in local rulers. The Tibetan historical tradition tells us that there were flourishing monastic communities in Amdo by the mid-tenth century — the same period as the tantric manuscripts from Dunhuang. What I was suggesting at the end of the post above was that the genre of complaints about the abuses of Buddhism in the dark age, represented by IOL Tib J 370, Pelliot tibetain 840 and the writings of Lha Lama Yeshé Ö, tell us as much about those writing the complaints as they do about those that are being complained about. That is, there was a significant body of literate (perhaps monastic) Tibetan Buddhists who were concerned with recent developments in Buddhism in Tibet and looked back with nostalgia on the period of state-sponsored Buddhism. In Pelliot tibetain 840, the poem expressing these sentiments is written after – and in the same hand as – a series of Mahayoga texts. So I don’t think we can assume that what happened to Tibetan Buddhism in this period happened in the absence of monasticism. As ever, Vajrayana continued to exist alongside, and within, monasticism. If this going to change in the West today, then it really does seem to be something new. Sam, thank you very much for this! Still, the author of PT840 laments the excessive proliferation of Tantra (or pseudo-Tantra) by contrast (implicitly at least) with weak or absent monastic institutions. These Tantrikas do not seem to have been monks; they “do not know about the vinaya rules.” As you put it, “the problem is a lack of authority”, as was provided by the state-controlled monastic establishment earlier. But obviously, for others at the time, this was a splendid situation, in which one could practice Tantra (or pseudo-Tantra) free from the interference of narrow-minded monastic busybodies and feudal warlords. Without knowing much more about the situation on the ground, it is hard to be sure which group to sympathize with. Documents accusing yogic practitioners of degeneration and inauthenticity are of course common throughout the history of Buddhist Tantra. While acknowledging that some supposed Tantrikas, in all periods, are self-aggrandizing frauds, I find most denunciations to be self-interested political propaganda. There is never agreement about “authenticity”, and arguments about it usually cloak temporal power struggles. Within the gos dkar lcang lo tradition, there is a counter-narrative, which identifies with (some of) the Dark Age Tantrikas, regarding this as the period when the authentic yogic Nyingma tradition was at its best. From this point of view, the suppressive activity of Yeshé Öd was a disaster. I regarded this gos dkar lcang lo narrative as historically dubious before reading that some Dunhuang manuscripts do mention the gos dkar lcang lo’i sde as an independent, perhaps equal, sangha outside the gendun marpo. ... there was no conflict. A state of harmony in which (from point of view of the gendun karpo) monks kept their noses out of Tantrikas’ business. But then he goes on to complain that contemporary Tantrikas don’t know the vinaya. I don’t know what to make of that; does it make sense to you? It seems that despite the closing of the monasteries Buddhism continued to flourish at the local level. The forms Buddhism took during these years may well have been “corrupt” in the view of later Tibetans, but these same corruptions were fundamental to the formation of the Tibetan Buddhist identity. Freed from the watchful eye of the imperial court and the monastic orthodoxy, Tibetans of the dark period were able to make Buddhism their own. The themes, the imagery, and the strategies Tibetans developed during the inchoate years of the dark age formed the cultural foundations upon which Tibetan Buddhism was built. Only by excavating these foundations and shedding some light on the dark period can we gain a clearer appreciation of the Tibetan assimilation of Buddhism…. Earlier, during the empire, the exoteric traditions enjoyed far greater support, thanks particularly to the patronage of the royal court, while the translation of tantric texts was carefully controlled, if not prohibited. With the collapse of the empire, these controls were lifted, and Tibetans plunged eagerly into the world of Buddhist tantra. So how one interprets denunciations of Tantric degeneration during the Dark Age is likely to be influenced by how one regards similar such denunciations through Tibetan history, up to and including the present. Is there really any Dunhuang text that mentions the White Robed Willow Leaves (gos dkar lcang lo)? Sorry about my literal translation of lcang lo as willow leaves, when perhaps we ought to follow Bogin and go with dreadlocks. The point of the story is to tell how badly things were going for Buddhism during Tibet’s greyish period. They aren’t held up as equal here, that’s for sure. Thanks for that quote! I wasn’t aware of it. “Dreadlocks” seems like a fine translation. I am sorry that I was unclear — I don’t know whether the specific phrase “gos dkar lcang lo’i sde” appears in any Dunhuang manuscript. (I would be interested if anyone does know.) That’s just the term we have now (and have had for a long time) for the class of non-monastic Tantric professionals. I imagine that everyone would agree that the sba bzhed, while an enormously valuable source, cannot be read straightforwardly as factual history. It has axes to grind. It now seems uncontroversial — on the basis of PT 840 among other documents — that Tantric professionals (by whatever names, and whatever their qualifications) were rife in Tibet at this time, outweighing monks in numbers at least. As Jacob Dalton points out, we can’t uncritically accept the judgment of either hostile contemporaries (e.g. PT 840) or subsequent Tibetan historians that this was a Bad Thing. My personal suspicion is that it was a Good Thing; but that is a value judgment. How we judge events in the Dark Age is likely to be influenced by how we view the gos dkar lcang lo’i sde’s subsequent role up to the present and into the future. It would seem that your judgment is negative (I hope I am not putting words in your mouth), whereas I am optimistic. This is surely not the place for us to discuss that. I think we simply don’t yet know enough about what happened to make value judgments with any confidence; nor, probably, would they belong here if we could. — The Dunhuang material is our best resource in establishing such facts. How can you distinguish “Pseudo” from “Prototype” except in retrospect? The secret of the “loose authority” era of Buddhism in Tibet may lay in identifying strategies by which innovators can coax stressed social systems to adapt innovation. I can’t help but thinking of how major media corporations encouraged the US Government to “turn over”internet band width to them as “responsible media professionals”. The problem wasn’t new scriptures, it was rival distribution systems. Now that we have Sakya and Geluk Tertons…. termas are a “good thing”. Tibetan alphabet is initially supposed to have fallen on such a king’s roof too. Though in reality it can be traced to the middle east and the language back to Burma. There are parallels to these sky revelations. Terma is hidden in rock, earth, in lakes and also sky. A terma can be various ritual objects or yellow Dakini script and other parchments with codes and keys or orbs of various materials such as crystal or rock. 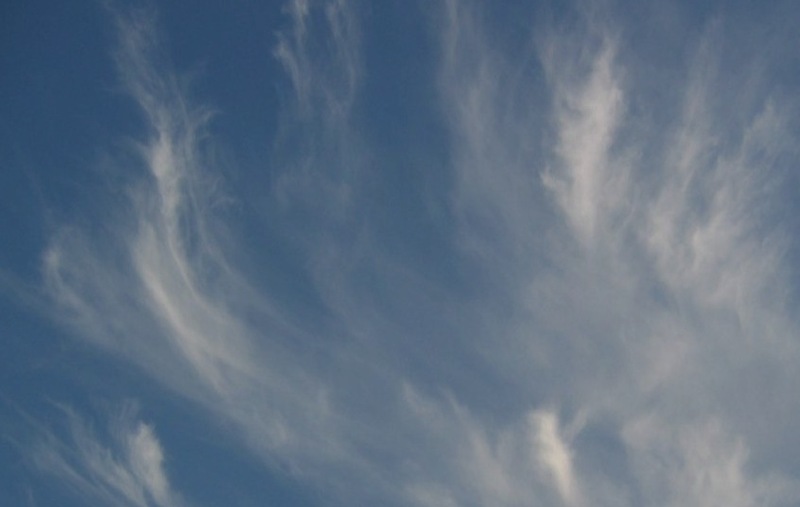 Sky terma manifest in different ways. For example a deity, usually a Dzogchen protector, can bring it to the terton. In another way a terton simply reaches out into the air in front of him and grabs it. There is a photo of the late Jigme Phuntsok when he is doing just that in front of a crowd. In another way it simply drops vertically from the sky. On another occasion Jigme Phuntsok was leading a Saddhana with many disciples. Another orb fell directly from the sky on top of the text he was reading which marked his text too as it was hot and had to be cooled to touch. The objects can function in various ways as keys and there are elaborate processes for certain types of these keys and they have different functions not just revealing text. For example a stone Dudjom Rinpoche found as a child was that lifetime’s key to guide him to find his other object and mind termas of various nature which he did. It is apparently hollow as something rattles inside it and with other revealed object is with his family. Padmasambhava established two communities of tantric practitioners. One was the monastics and the other the lay order. After Langdarma’s short period of suppression of the monastics and slight tolerance of ngakpas which is another story, and then the decline of the unifying monarchy, power fell to local clans and warlords and then increasingly the monasteries’ estates which continued even more so after the Mongol invasion. However both traditions are of equal value to us. However in the west a few new age type westerners have set themselves up as tertons and put up pictures of great ‘dead’ masters on their sites. They don’t say that those masters told them to stop or not approach them again. Or in some cases the self appointed westerner threatened in writing via lawyers to sue them! And these cowboy business opportunists keep up those photos on their sites to this day! These few lineageless western fake tertons are also closely linked to each other across various countries. The reason they condemn the monastic order as we see and call themselves ngakpas is because of various reasons. Firstly after decades none of them speaks colloquial or classic Tibetan. Nor do they have any level of knowledge of the teachings. So they just waffle on in generalities without saying anything of value and call it divine knowledge. They also have to condemn Tibetan’s culture constantly and say “now the terma has come to the west” to stop their cult’s victims going to various Tibetan masters which is very normal in Tibet. Finally in order to attract gullible people, in their marketing and inside the cults, they find the ngakapa rituals seem fascinating and magical to their potential victims. So they say what is the point of being a monk or a nun or studying and meditating for years when the divine inji (western) terton can teach you magical rituals and crazy wisdom and enjoyment of senses? However the major fake tertons are not just crazy opportunists. They are believed in Nyingma to be the reincarnations of the smaller group of ministers of King Trisong who opposed Padmasambhava. They are believed to come back for short periods from their very long stays hells to mislead people. When Dudjom Rinpoche, who was the greatest Terton during the last century, was young in Tibet before the Chinese invasion revealed most of his major terma cycles. In on of them the terma addresses the issue of the unfortunate age when fake tertons appear more and even names one of them to come shortly in the terma as “Aro”. However they are right in saying their core terma is not written by them. Fake terma is believed to be channeled to a major fake terton by evil beings of the eight classes and not really theirs. Which brings us to the question of unfortunate times. This is not just another Tibetan cultural baggage to be labeled so by us in the west. It has a long history as a tenet in Buddhism of all vehicles. In a previous comment I detailed it’s recurring cycles’ phases from a major Buddha, currently Shakyamuni being the fourth of a thousand for this world system and eon, to the stages following it. Actually after each Buddha the teachings are revealed even more in stages, as I explained before, which means many more become Bodhisattvas or even Siddhas and mahasiddhas or enter onto high stages. Most do not remain long in this planet though they can come back for a lifetime or two. Sadly those stages have gone. We are now descending in Kaliyuga towards Maitreya’s coming but we are not yet in deep Kaliyuga. However great major cycles of terma are still to come which will benefit many and in a few cases as we see in recent few years even produce rainbow bodies. As I’m sure everyone’s aware, this isn’t really the place to for an ongoing discussion of the validity or otherwise of contemporary approaches to Tibetan Buddhist traditions. Further comments on the post, the manuscript in question, and its applicability to the situation in 10th century Tibet, are of course more than welcome. All the points I talked about were raised by others, some with other motives, which was allowed to go on and on. Also the texts falling on roofs as well as sutras most of which were obviously post Shakyamuni plus tantras are all regarded by great masters as the tradition of revelation just like the post Padmasambhava terma. Even Nagarjuna’s retrieval of texts from underwater naga has been compared to water terma. So it is all relevant unless one is closed minded and that is why I said they are parallels. Finally when there is an issue of dating in historical or archaeological research, it only becomes interesting if the subject in question is of some moderate interest. The dating of this document does not settle a great point of historical interest ‘since’ I am sure there are much more interesting documents in the collection which command priority. Allocating priority intelligently is something all great researchers with limited resources and time are familiar with and we have all been taught that. The reply that “everything is interesting” would be seen not as completely genuine. Limited resources, specially on such a great collection needing so much work have to be justified or at least presented. Finally any piece of the collection can simply be carbon dated if the resources are there but then time is also a resource and people are being for that too. My comment wasn’t just in response to yours, but to the last few and the direction of the thread in general. Since I moderate the comments here, I have to make these decisions about what kinds of conversation I am qualified and able to oversee. It’s a fine balance and I think your policy of being fairly liberal in allowing free discussion is actually beneficial as different perspectives and knowledge are presented. I learn from the posters anyway. Personally I think spamming or PR goes too far. Back to topic, depending on which of the periods the text belongs to, the outcome can be enlightening as they were completely different social contexts. However even if that is determined I don’t think there is enough meat there to open up new horizons. For example even during Trisong’s reign there were different periods when someone, say Vairotsana, would be exiled due to the pressure of pro Bon minsters. Then after a while recalled. Or later certain Bons would be exiled out of the country northwards. So if we had a recently unearthed correspondence just from that time, most would wrongly over-generalize onto the whole period. As they say, a week is a long time in politics, never mind an eventful lengthy reign of a monarch. So we have to tread carefully. Another point is that since king Trisong’s time, in any given period you find many texts where people moan about the unfortunate or degenerating times they lived in for various reasons. Then at the same time you find others describing the spreading of a tantra or empowerment or new terma or activities of a teacher as proof of living in such fortunate age due to good previous karma, deities, bodhicitta intentions, etc. Sometimes by the same person! And it happens to this day by the important teachers. In fairness they were usually referring to different aspects and overall historical periods in comparison though in a few cases it was tinted with sectarian or political machinations. Nevertheless again we have to be careful not to read too much into any single piece of general evidence. I am sure as with the personalized Tibetan calendar they observed, there must have been good and bad (hair) days too. As ever, thanks for the blog and your great work in general. [g]zhu could be a transliteration for Chinese 儒 (Confucians, Confucianism). The problem is that in the Chinese dialect with which the Tibetans were most familiar, the word, with a 日 initial, should be rather pronounced prenasalized: ‘ju. As the Chinese dialect paternal of modern Mandarin (Beijing [ʐu], Chengdu [zu] etc) has a fricative initial, maybe the Tibetans borrowed the word from that dialect.